We offer ZOOM whitening! Get a beautiful smile in just one visit! Dr. Daniel Loban is a 2003 graduate of the University of Minnesota, School of Dentistry. He began his career serving in the United States Army as a Dental Officer. While on active duty he completed the Advanced Education in General Dentistry course at Fort Campbell, Kentucky, and also served a one-year tour in Iraq as a dentist for the 101st Airborne Division. Before moving back home to Duluth, Dr. Loban spent three years practicing in Illinois. 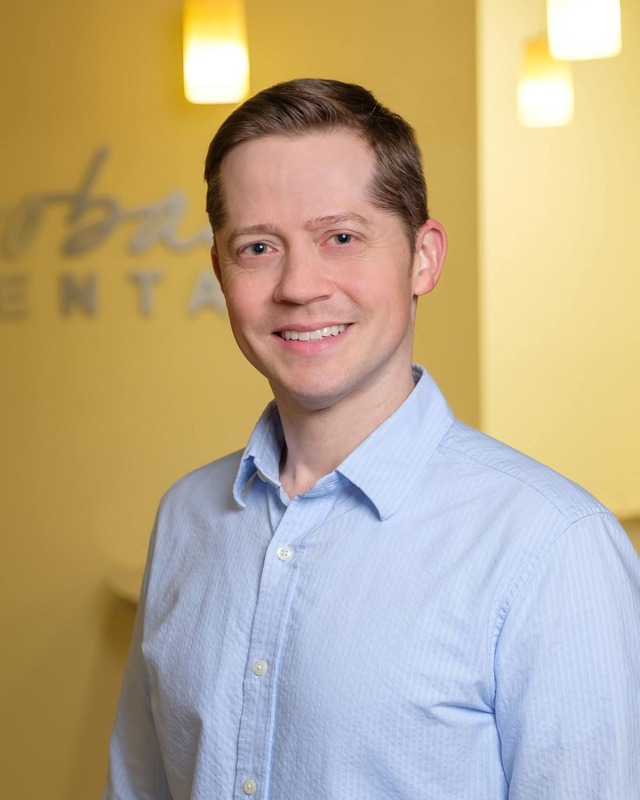 Besides being committed to his patients, Dr. Loban is dedicated to continuing education and providing his patients with personalized care and state-of-the-art dentistry. He is a member of the American Dental Association, the Minnesota Dental Association, the North East District Dental Society, and the Academy of General Dentistry. Dr. Loban grew up in Moose Lake, Minnesota, and his wife grew up in Duluth. Outside of the office, Dr. Loban enjoys long distance running (having run Grandma’s Marathon nine times), skiing, snowshoeing and biking. He also plays the guitar and enjoys woodworking. They are blessed with three young children.